Sue McCarthy is an outspoken advocate of entrepreneurialism and women-owned businesses—something she knows a thing or two about. In fact, Sue is the founder and CEO of the Vault Luxury Resale, a multimillion-dollar resale boutique in Saint Louis. She and her daughters were the stars of Resale Royalty, a popular reality TV series produced by celebrity stylist Rachel Zoe that aired on the Style Network. 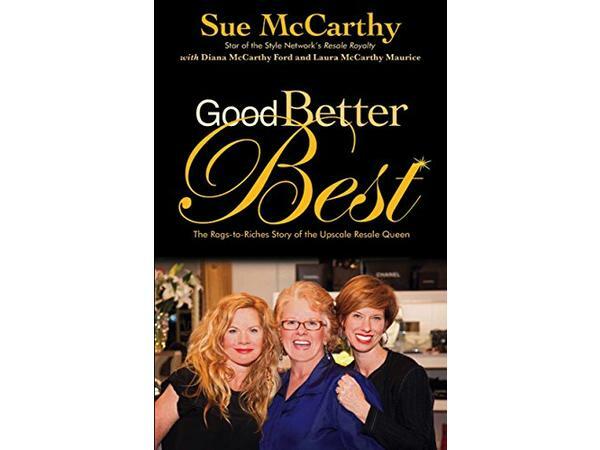 Now Sue shares her incredible life story in her recently released, must read book, GOOD, BETTER, BEST: The Rags-to-Riches Story of the Upscale Resale Queen. She is joining us to share all about it. For a big dose of inspiration and an uplifting look at the real strength to be found in facing challenges with courage, honesty and humor, you will want to be sure to catch what Sue has to say!